DynaScape Software released its spring update to Manage360, Design and Color products. It also unveiled mobile crew tracking capabilities. 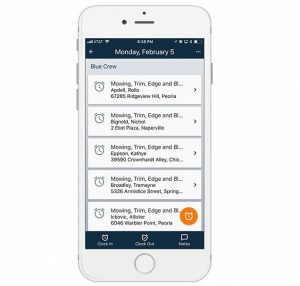 Now available in the Apple and Google Play app stores, DynaScape’s crew tracking app is an add-on to Manage360. It’s geared toward the foreman/crew leader. It’s operational, even in cellular dead zones, said the company. DynaScape Software also initiated an industry partnership with Techo-Bloc. Through the partnership, DynaScape introduced Techo-Bloc’s catalog of pavers, slabs and walls in Color. The company added there’s a long list of Design software updates, including compatibility with AutoCAD 2018.